It's the weekend I count down to every summer. 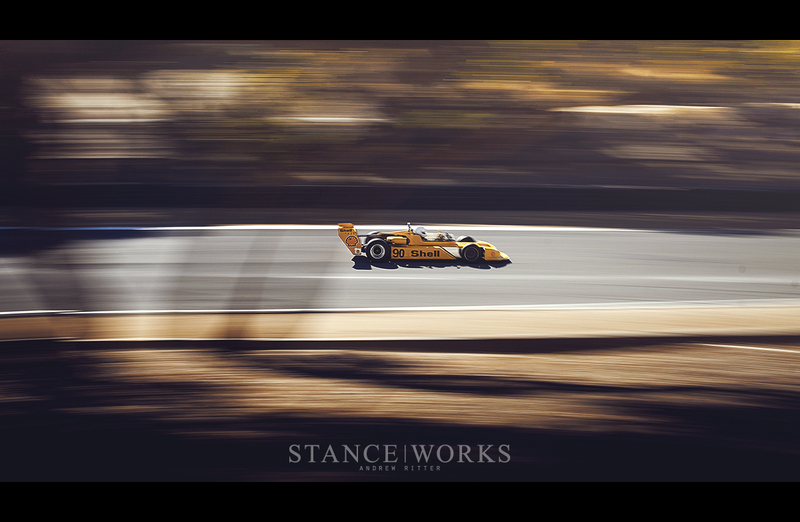 The Rolex Monterey Motorsport Reunion marks the end of summer for me, and it's the race that I look forward to the most. Sharing a spot on the calender amidst an ever-growing list of automotive events that celebrate classic automobiles across the Monterey Bay area, the Motorsport Reunion acts as a beacon for Californian enthusiasts. 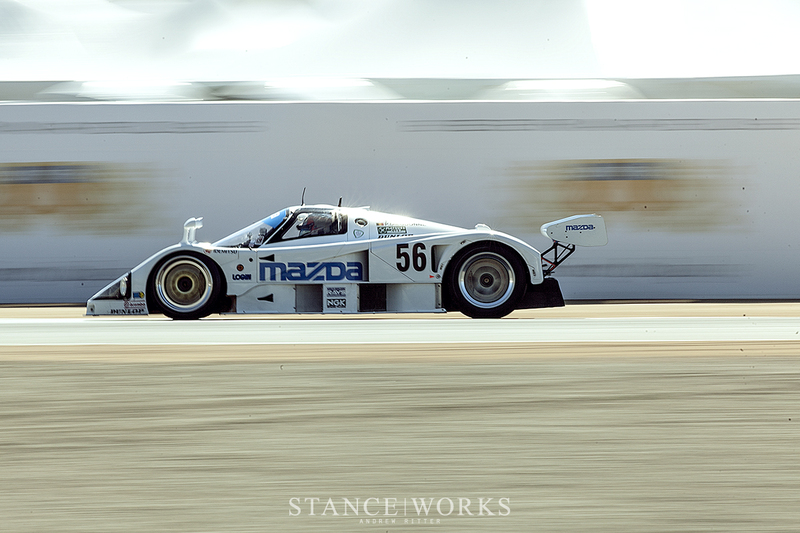 As August rolls in, race teams and spectators alike embark on their pilgrimage along the coast to Mazda Raceway Laguna Seca. A hum grows through the streets of the quiet coastal towns. Porsche owners wind through the hilly roads into town, and British sport cars buzz through downtown Carmel. The hum slowly grows. A BMW caravan arrives after a jaunt up highway 1 and a few Ferrari owners stop to grab a morning Coffee. Before too long, the hum has grown into a chorus of exotic exhaust notes and the bay area is overrun with head turning classics. 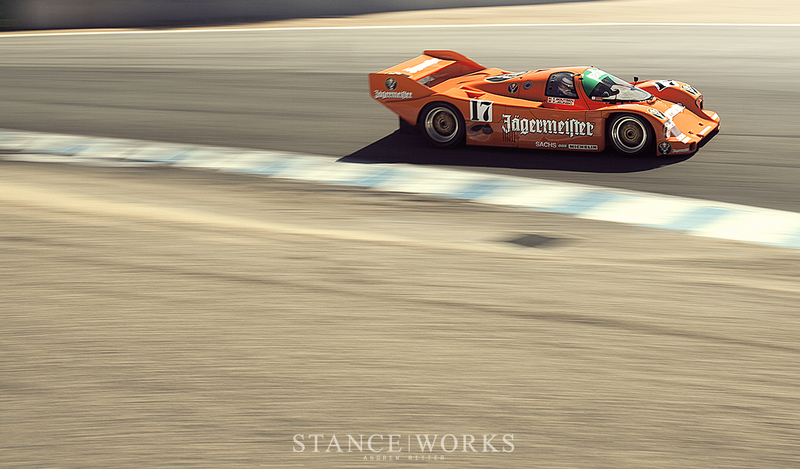 A plethora of truly impressive cars are uncovered and driven through Monterey. The hectic schedule of events has a lineup of icons in attendance. 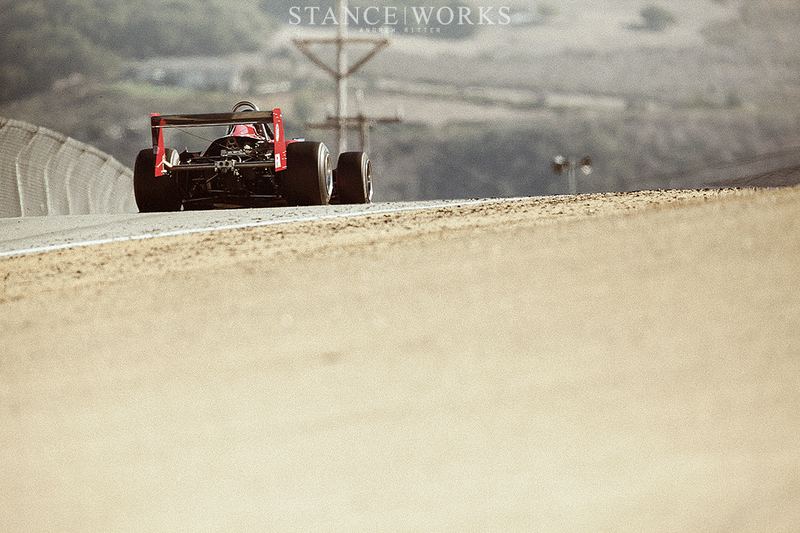 While I love attending the get togethers through the week, I always start my mornings at Laguna Seca. Something about the old liveries, the rumble of the carburetors, and the old race engineering solutions draw me in each year. I could wander the paddocks for a month straight without growing tired of my surroundings. 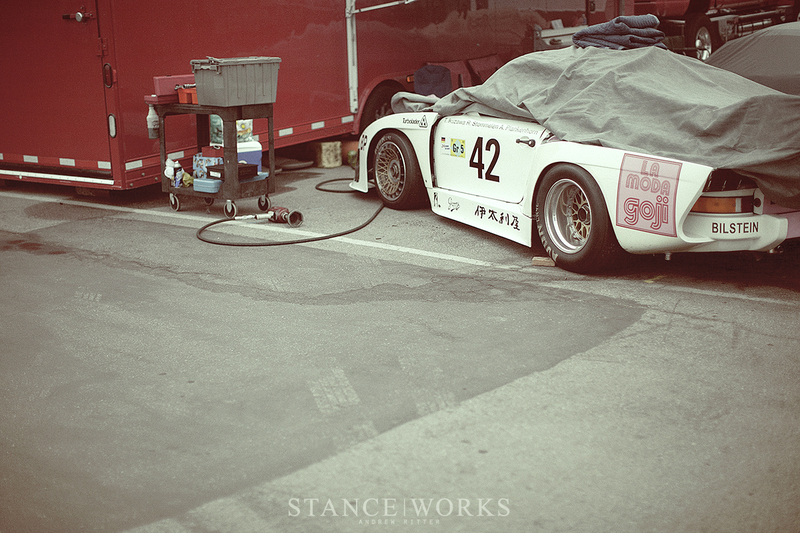 Each car offers up a countless number of little details to admire and its owner can conjure up just as many stories. I found myself stopping and spending hours each morning walking around certain cars and noting the interesting details that added to their rich character. Fuel cell setups, hand painted race numbers, and hood straps each handled differently by the various decades of racers that were in attendance. With each click of the shutter, I collected detail shots for future feature articles, but as soon as the announcer made the call for the IMSA GT cars to make their way to pre-grid, I was off and running to man one of the trackside photo holes. 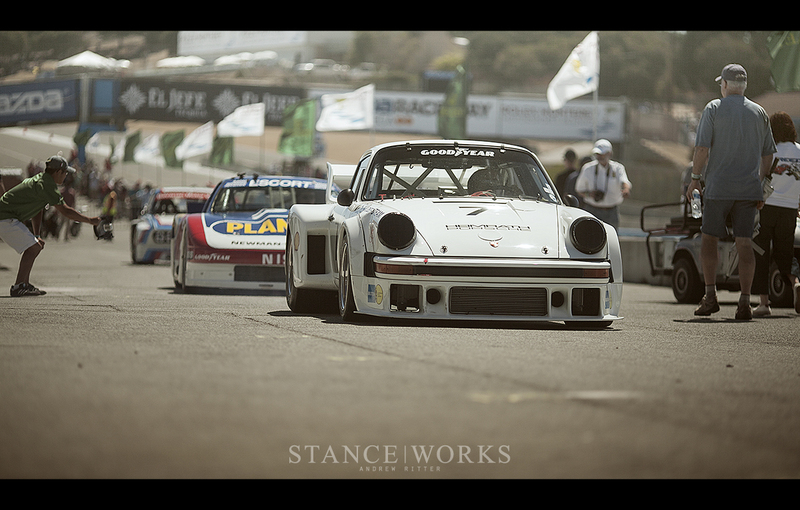 It's quite a sight to see the CSLs and M1s enter into the Andretti Hairpin followed by the turbo spooling Porsche 935s. Rather than fall into disrepair behind a warehouse or retire to a quiet life in the rows of some collector, the old IMSA cars returned to their proving ground for another weekend of competition. 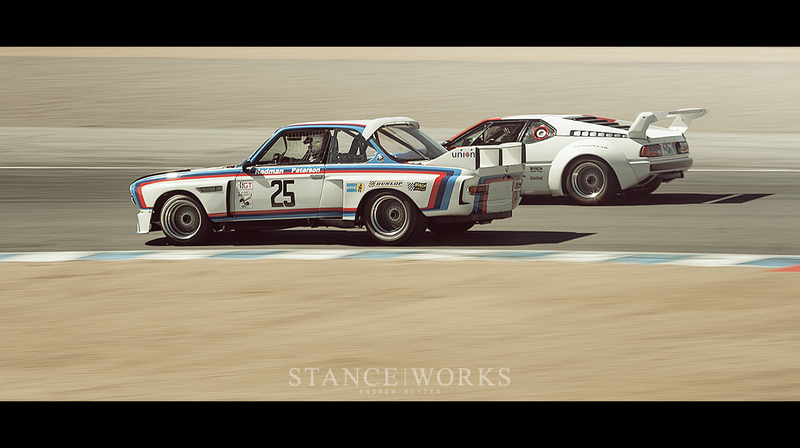 A few new veterans entered the ring, revitalized by recent restorations and prepared to prove their worth. 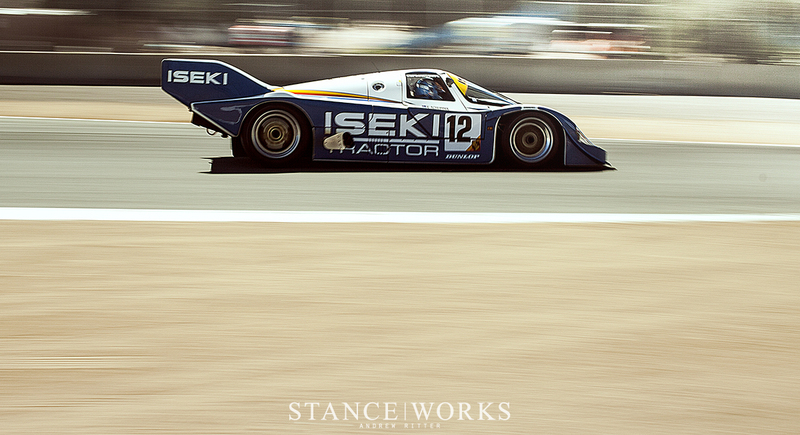 With an equally formidable grid and growing ranks, the IMSA GTP/GTO class demanded attention. 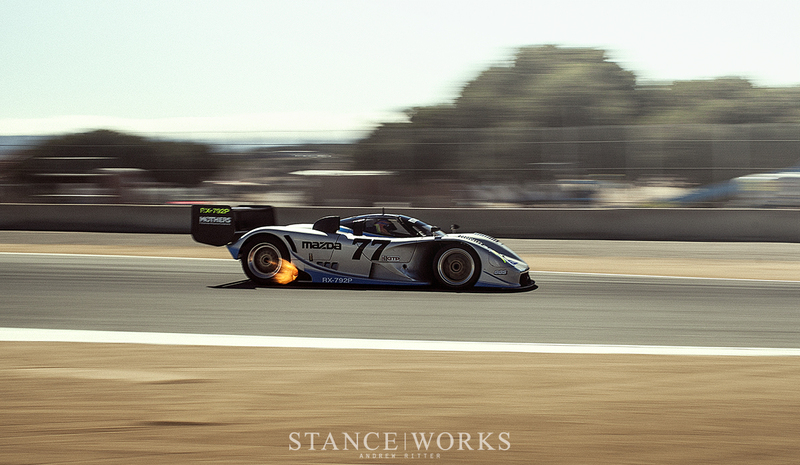 The flame spitting rotaries of the familiar Mazda tent led the pack for much of the session, but were followed by a pack of Porsches 962s and a 956 newcomer. 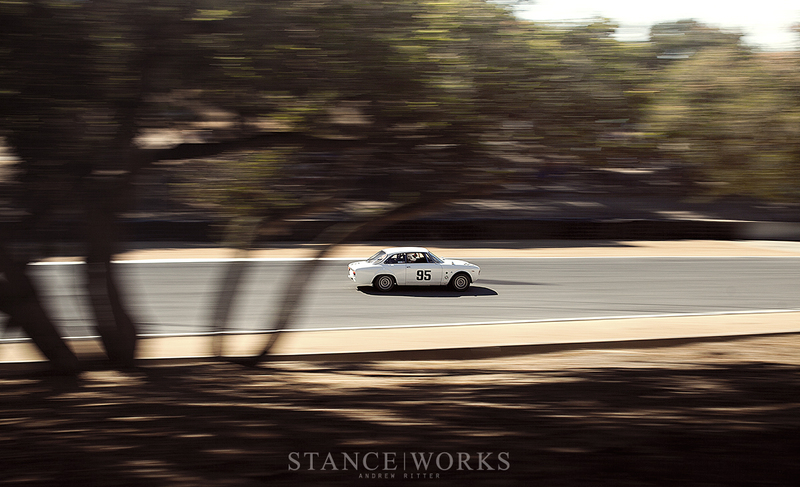 With every lap, I watched in awe and captured the legends of racing as they made their way around the course. While the Manufacturer classes of IMSA offered a chance to watch as historic icons battled for the lead, the GT classes opened the grid to drivers from all over. Alfas, 2002s, and Datsuns squealed around each corner in the under-2500cc group, while Mustangs and Shelbys fought with brute strength in the big bore category. 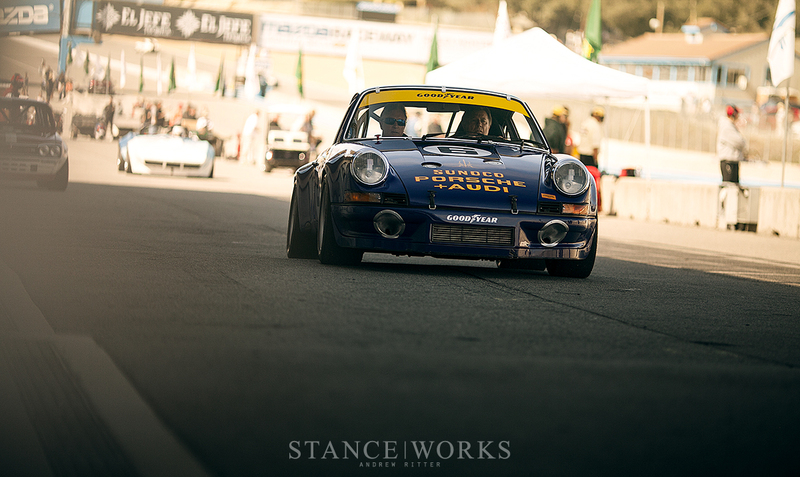 Classic Porsches proved that their racing pedigree had not been forgotten. 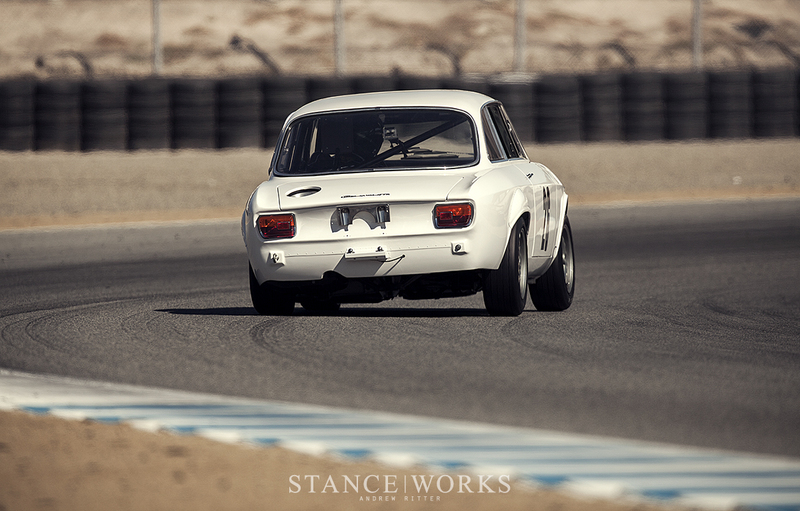 With attainable cars and reasonable budgets, the GT class always attracts me with its humble roots. In a week dominated by multi-million dollar race cars and auction prizes, it was great to see some racers towing their classics behind camping RVs to simply enjoy a weekend of vintage racing in the sports car they loved. 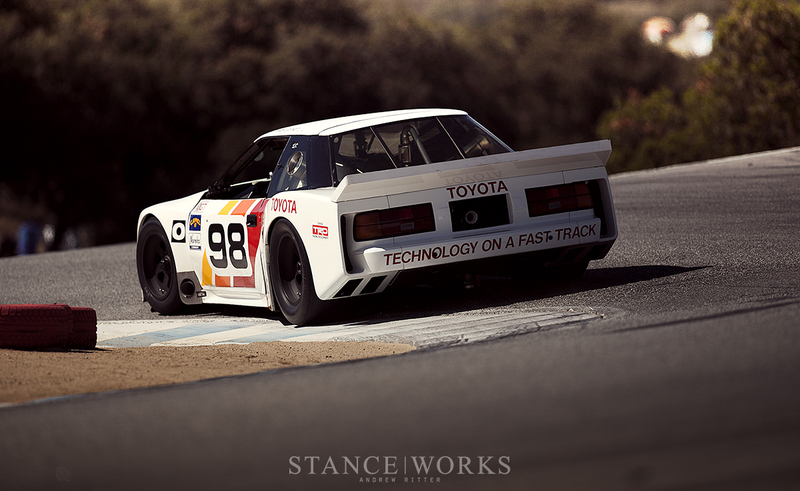 From old 40s touring cars to 80s Formula racers, and from grassroots GT entries to professional IMSA attendees, the paddocks of Laguna Seca had filled with the same wonderful energy. A common reverence for racing of decades past continues to draw us to the same hilly region year after year, and I'm certain it will continue to call me for many years to come. It's a chance to celebrate history and continue the legacy, so I will return each year to document as racing's heroes go back our for another run. Andrew, what F1 car is #9 (now my background)? Stunning pictures as always from you.. 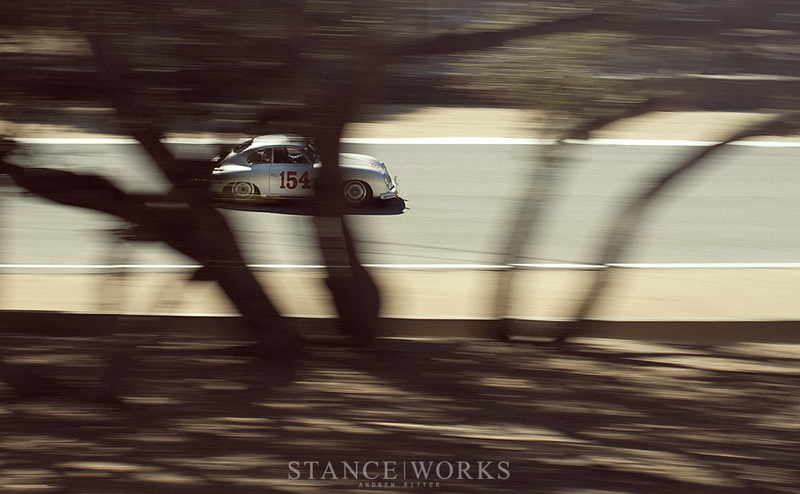 The photo of the 356 through the trees is amazing. I’ve gone back to it several times. Captivating work. Awesome photos, Andrew! It was great running in to you there. Great article & gorgeous pics! Thank you! iChot I’m not quite sure which model it was. It was racing in the Formula Atlantic class. Otis Blank Thanks Otis. I’m glad our paths crossed…hopefully I’ll see you again soon!